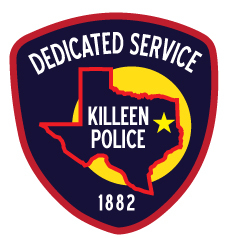 Killeen Police investigate a dog attack on several children. Officers responded to a 911 call in reference to shots fired in the 4100 block of Pennington Drive on Saturday, March 1, 2014 at 4:57pm. As officers were enroute, they were told that a dog had attacked several children. Upon the officers’ arrival, they found a 2 year old male who was suffering from numerous dog bites. He was immediately transported to the Carl R. Darnell Army Medical Center in critical condition. Another child, an 8 year old female, was also a victim and she was transported as well. Witnesses told officers that an 18 year old male, an 8 year old female and a 2 year old male were walking home from the playground when a Bull Mastiff ran out from the garage at 4108 Pennington Drive and began attacking the 8 year old female. Witnesses were able to get the dog away from the female but he turned and began to attack the 2 year old male. The dog dragged the child down the roadway when shots were fired from an unknown person. The dog let go of the child and ran back to the residence he came from. The 2 year old victim succumbed to his injuries and was pronounced deceased at 5:30pm by medical personnel. Justice of the Peace Bill Cooke has ordered an autopsy to be performed at the Southwestern Institute of Forensic Sciences in Dallas. Killeen Animal Control took custody of the dog and he will be in their custody while the investigation is ongoing. The 8 year old female is in stable condition; the names of the victims will not be released at this time.